So much for Chris Paul and the Houston Rockets not being on the same page. Contract negotiations in the NBA aren’t so cut and dry. And Paul’s situation in Houston is hardly simple. He’s entering his age 33 season. It’s perfectly reasonable to assume the Rockets may not want to offer him a four- or five-year max deal. But that combative back-and-forth typically plays out between agents and team executives before—if it plays out at all. And in this case, it’s more likely Paul and the Rockets are on the same page. 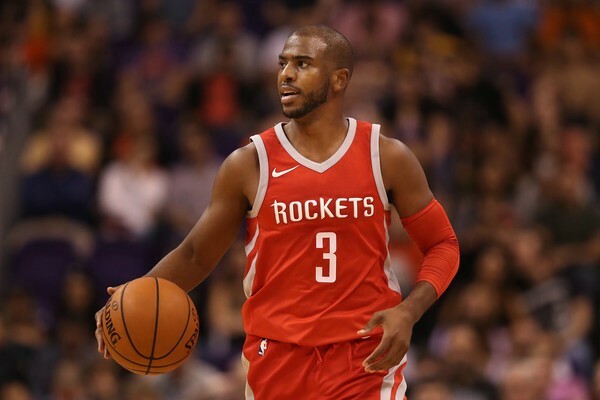 He left a five-year, $200-plus million contract on the table with the Los Angeles Clippers last summer to opt in and join the Rockets. There had to be some mutual understanding between the two parties; Houston had to know it’d need to pony in one year’s time, otherwise it wouldn’t make sense for Paul to do what he did. Could Paul still accept some form of a pay cut? Definitely. Especially if it helps facilitate a LeBron James sign-and-trade or something. Whatever happens, though, isn’t likely to be the result of some contentious war of words and closed-door politics. Both the Rockets and Paul knew what they were getting into together last year. No way that’s changed now—not after they arguably finished one CP3 hamstring injury short of dethroning the Golden State Warriors.